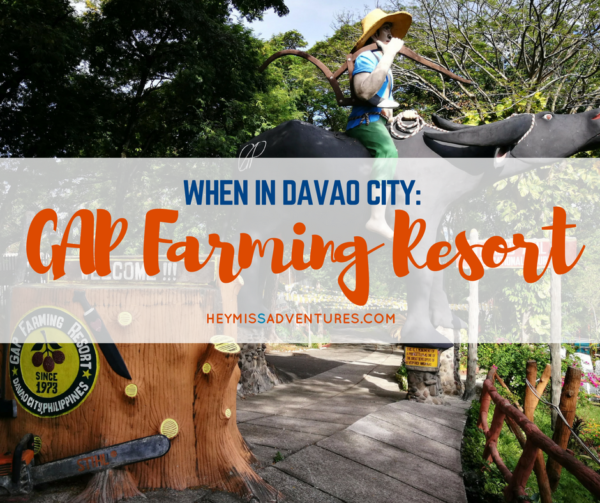 When in Davao City: GAP Farming Resort | Hey, Miss Adventures! 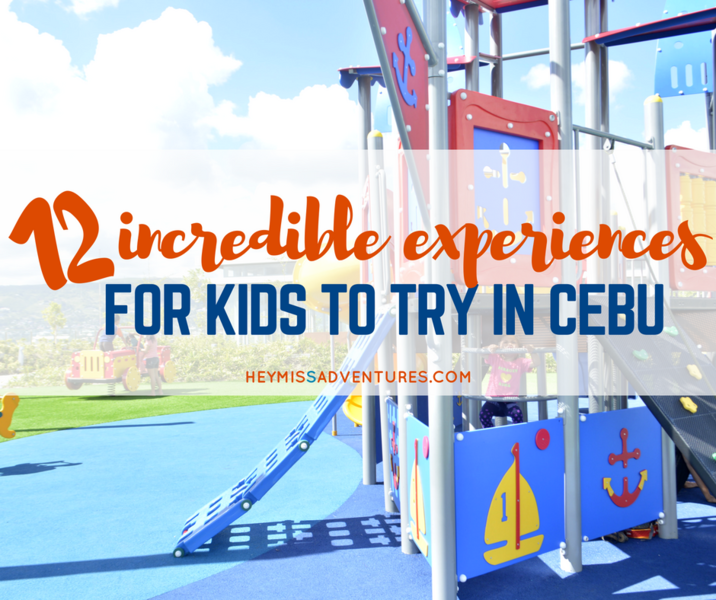 When we visit a new place, the first thing that the partner and I always have in mind is to look for nearby parks, playgrounds and attractions that provide an educational experience for us and our toddler. 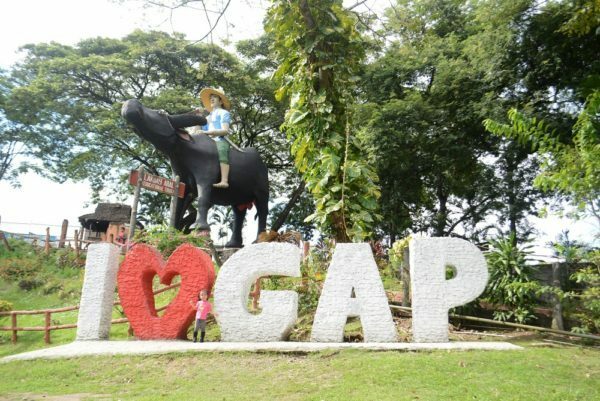 A lesser-known attraction in Davao City, it seemed, is GAP Farming Resort. 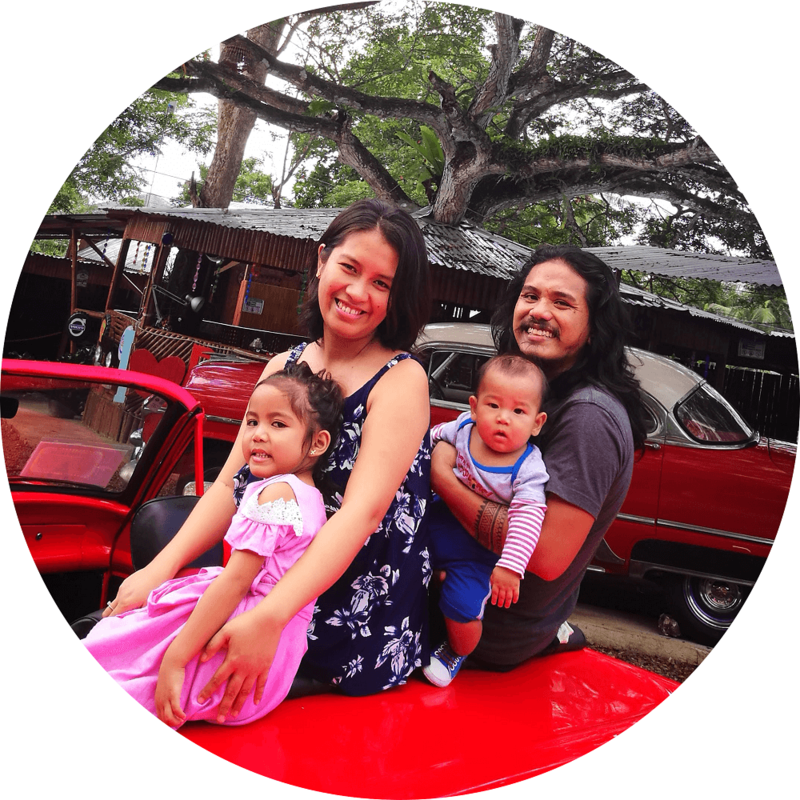 We were very happy to find out that it was just a few minutes away from where we lived (Adrian hosted us free for six days in his awesome space in Maa; get ₱950 in AirBnB travel credits here) which meant we could “hack” our transportation to save on costs. 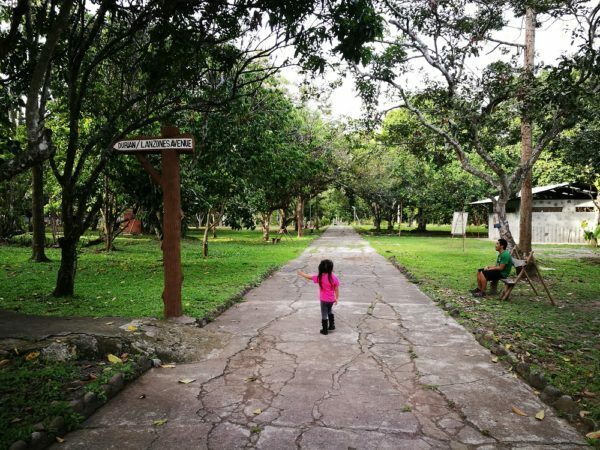 To get to GAP Farming Resort, you will have to make your way to the Saint Francis of Assisi Church, which locals call the Parokya. 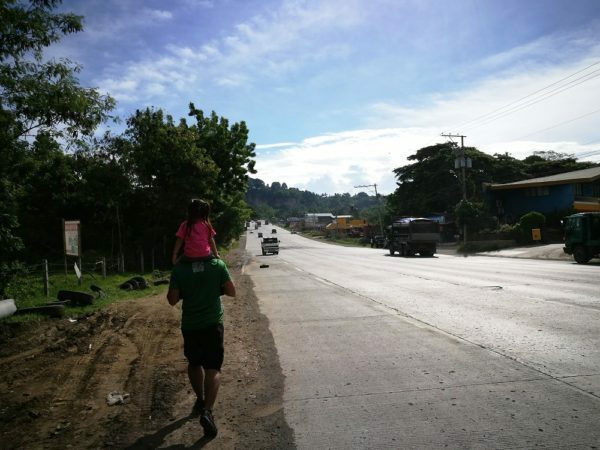 It is located at the corner of AH26 (the Pan-Philippine Highway) and Don Julian Rodriguez Sr. Avenue. 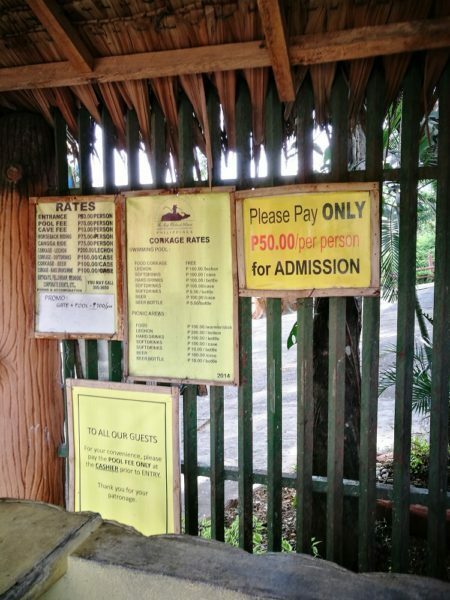 Since we were already in Maa, it only required a jeepney ride which costed us just ₱8 per way per person. 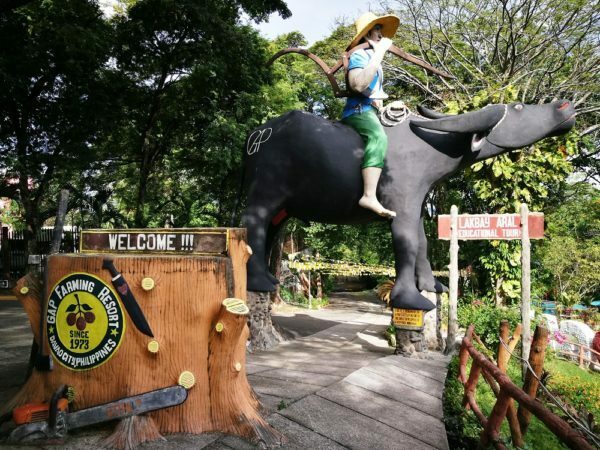 Upon reaching the Parokya, you can opt to ride a habal-habal to GAP Farming Resort for ₱10 per person. Or you can be like us and walk your way there. Did I mention that this place was right along AH26? 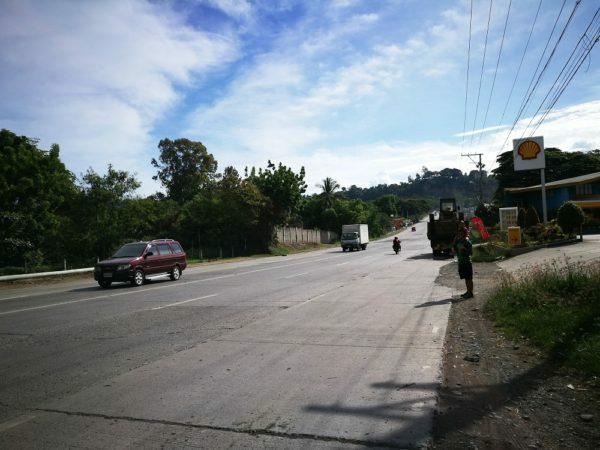 That meant that there are no jeepneys plying the route, only huge buses and trucks making their way to another province in Mindanao. The highway was huge and intimidating and we were walking under the 2PM heat of the sun. The walk felt like forever (actually more like three kilometers) but Google Maps say it was just really a 1.3-kilometer distance. I don’t know. But the partner was happy because we saved ₱40, two way, and he got me to do a full body workout. Hahaha. I think he will do anything to save ₱16 on fare, even if it meant walking four kilometers in the process. We asked a few people along the highway (there obviously weren’t a lot; just huge truck yards) and I could read from their faces that they were thinking we were crazy. You know, all the while, I kept thinking about opening up an actual Motor Hotel (motel) along the highway for the road trippers and long-distance travelers. Perfect along AH26, right? Finally, we reached GAP and it was beautiful and definitely well worth the walk. I am a fan of greens because they are just so relaxing to the eyes. I also work on the computer all day and am short-sighted so it’s great exercise for my eye muscles. The resort has an orchard of pomelos and lots of different trees. 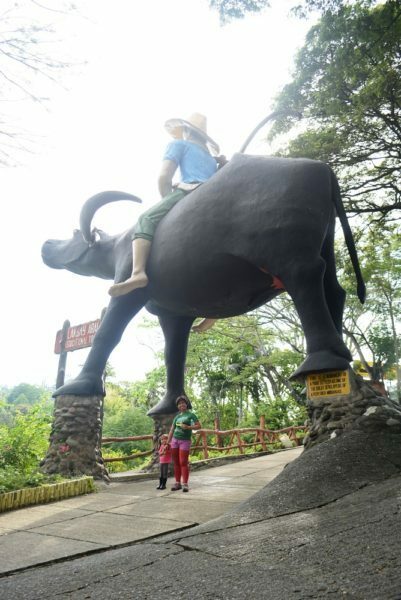 The first thing you’ll notice in the GAP Farm is the huge carabao with a Filipino farmer riding on top. 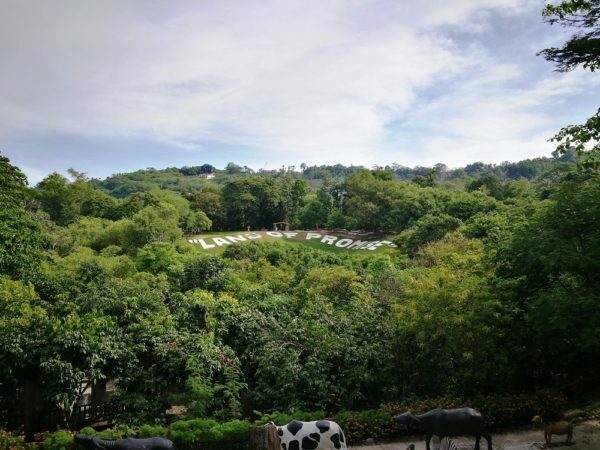 According to the inscription, it was a “monument of a poor pioneer settler as one of the great developers of a very rich Mindanao”. 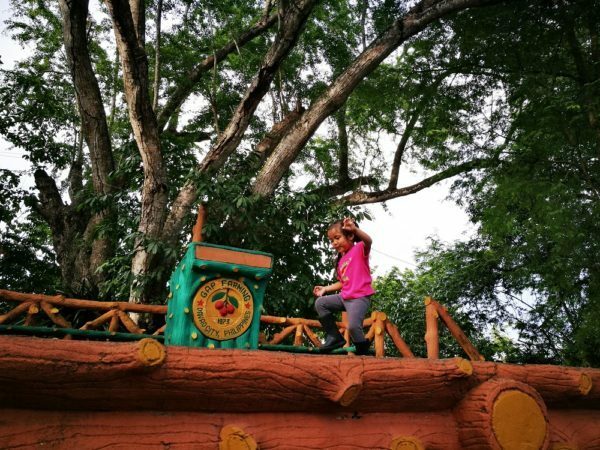 The resort is a great place for family outings. It has a swimming pool for the little ones and also a restaurant but what I liked best are the statues inside. 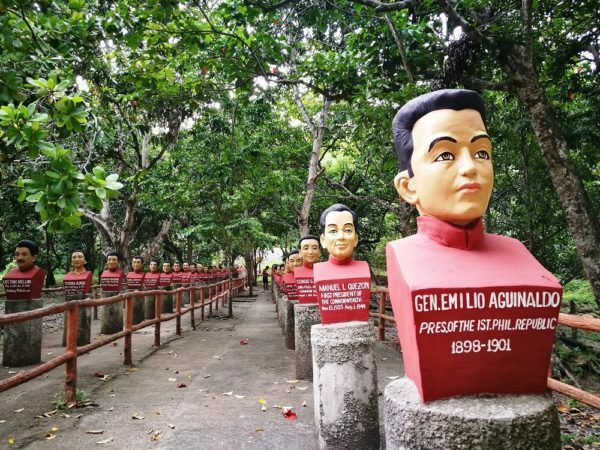 They have a line-up of different animals that are native to the Philippines (also great for learning Filipino and English) and they also have Philippine presidents (Duterte was still being made) and the great Filipino men and women of all time. There are also creatures from Filipino folklore (can you recognize them from below? 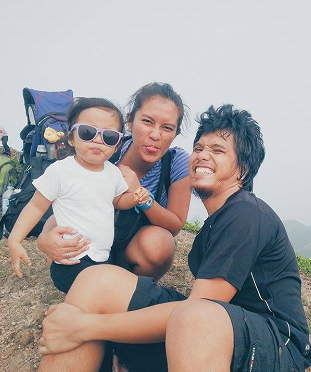 the tikbalang’s head got cropped) and the famous Juan Tamad. At the foot of a higher hill where all these are located is a small Japanese cave with a cyclops inside. 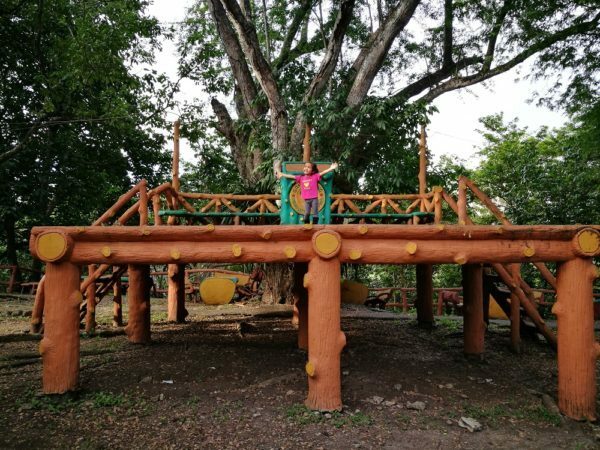 Of course, we couldn’t miss the playground. Instead of heading to the Japanese Tunnel a few kilometers from the resort, we decided to just spend the rest of the afternoon there while the partner and I talked about our plans. Haha. I loved not being pressured to go and move to a next tourist attraction. We even got to “meet” the carabao. 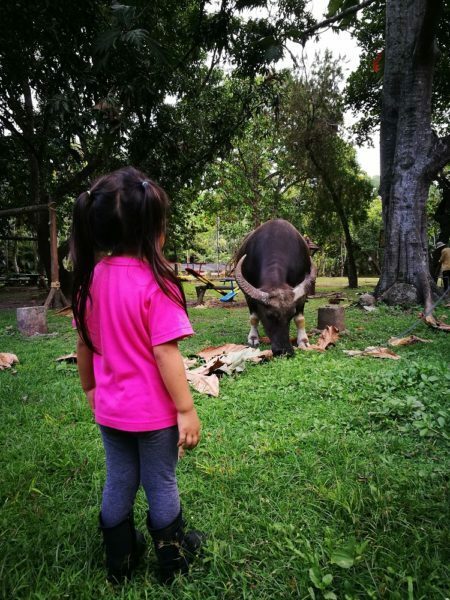 I have not been this close to a carabao in years (our neighbor used to have a corn farm and used a carabao to till the land) but much have changed and that farm no longer exists. Our stay had been short but we sure had a lot of fun. Lingawa diri oy! Taga Davao man ta ang side sa ako papa how come wala ko kahibaw aning lugara! 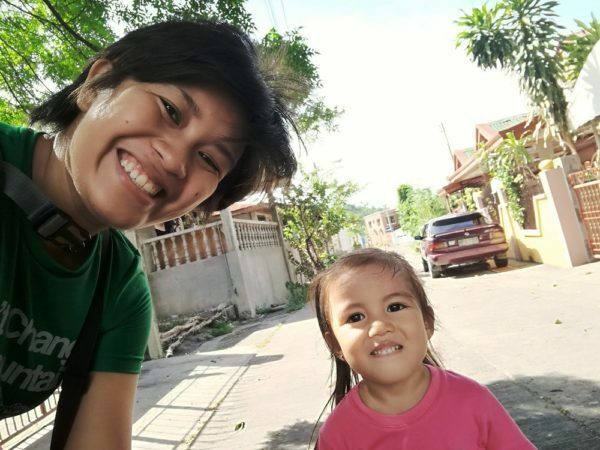 Next time kung mu visit ko sa Davao kay pangitaon nia ko ni! Thanks Pam! 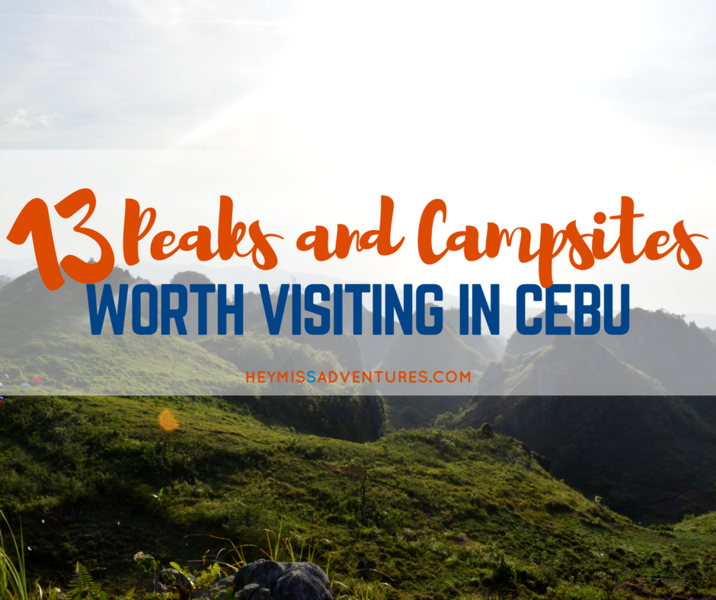 Pretty cool place that would do great for a family to visit, and pretty cheap too! Also, yay for walks! Except for when it’s scorching hot of course. Hahaha. 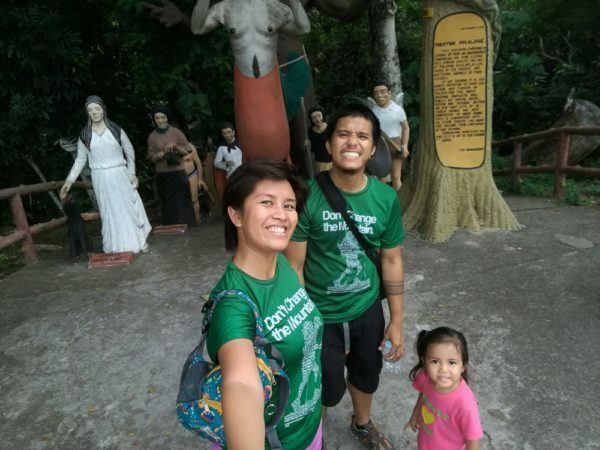 I’ve been to Davao but for just a very short time. 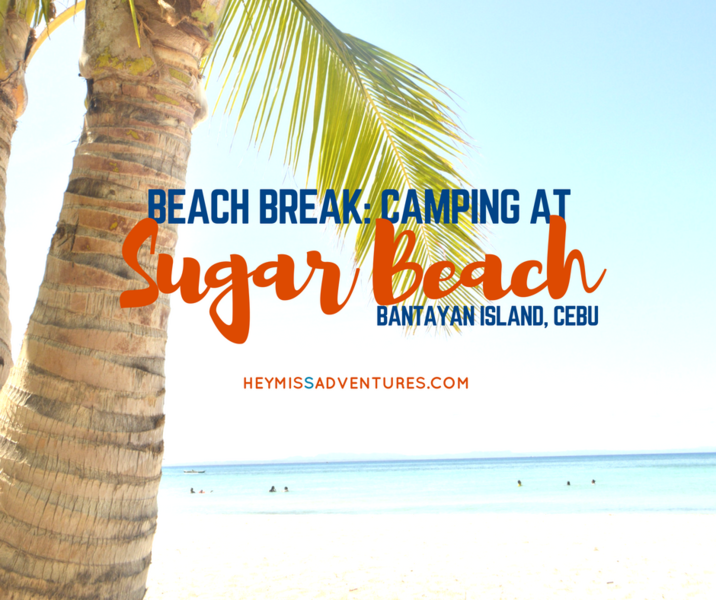 When I come back to Davao, I will definitely pay a visit to this place. 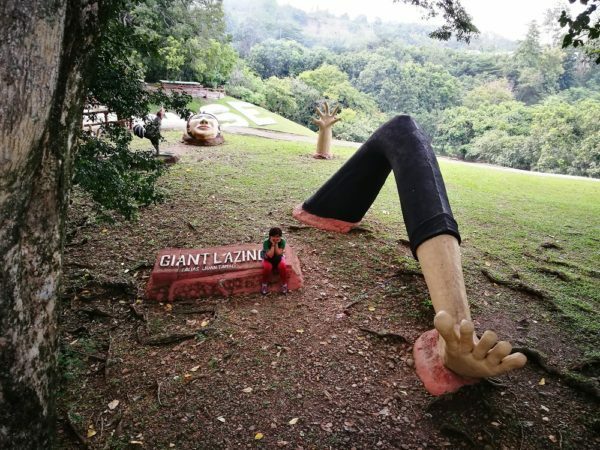 I’ve been to Davao a couple of times but have not reached the GAP FARMING RESORT and might try to visit the Japanese Tunnel . Aside from Siquijor, Davao is one of the list I wanted to visit next year.. I might visit together with my family next year.. It like the plot of the former presidents and the carabao too..
Pamskie! What the heck does GAP mean? Hahahahahahahahaha! 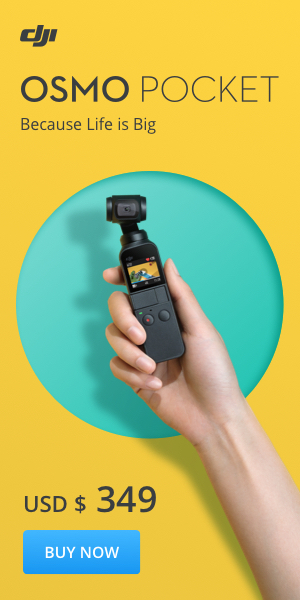 You made me realize how reliable apps are when giving approximate distances. Hahahahaha! But I guess the full body exercise was worth it? Hahaha! 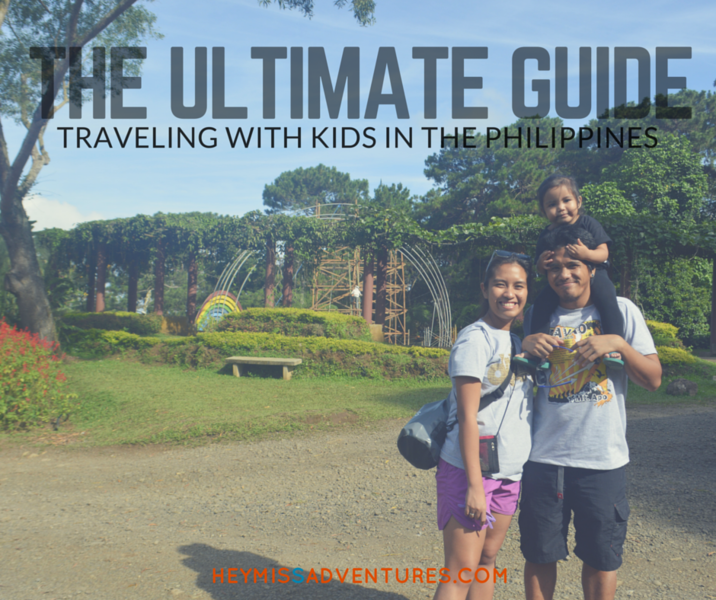 I haven’t been to Davao but this will be definitely in my list. I think I’d like to give the hats off to my partner…who also forces me to walk and exercise albeit indirectly. Hahahaha! I have relatives in Davao and might as well invite them here. 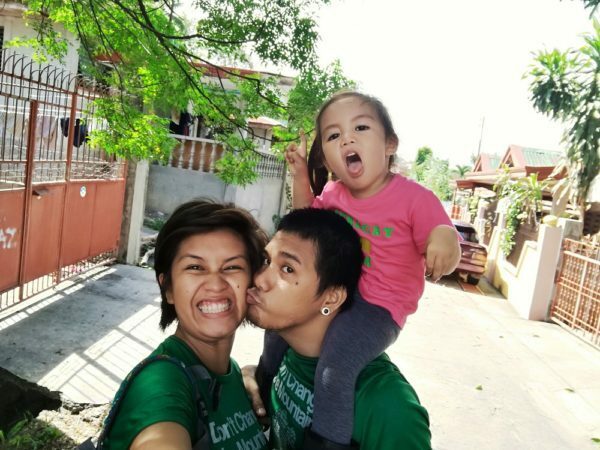 Wow, I like to have a family like what you guys have. I enjoy your spirit together when it comes to travel. Walking on the street is no joke, especially in Davao, but I think it is very interesting and fun. 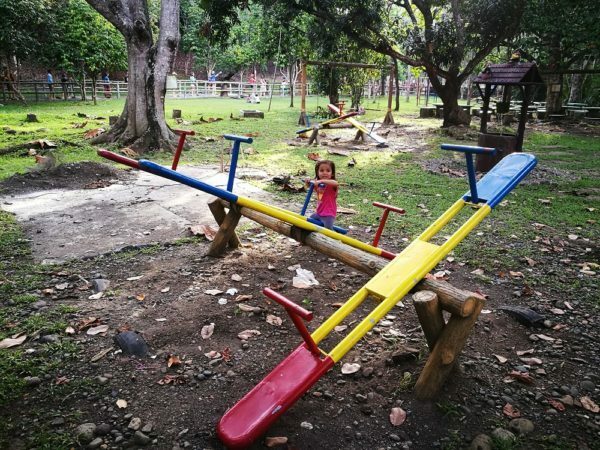 I’ll certainly check this park soon when I get back to Davao.